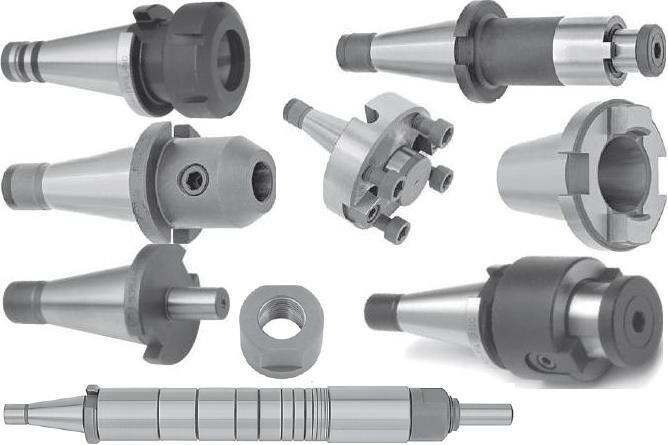 Tool Holders deliver the accuracy and durability needed for demanding applications. All tapers offer AT3 accuracy for excellent holder/spindle engagement & all holders are balanced & certified at speeds up to 15k RPMs at G6.3. The National Machine Tool Builders Association (now called the Association for Manufacturing Technology) in the USA laid down standards for machine tool design, among other things: the taper used on CNC (Computer Numerically Controlled) milling machines. 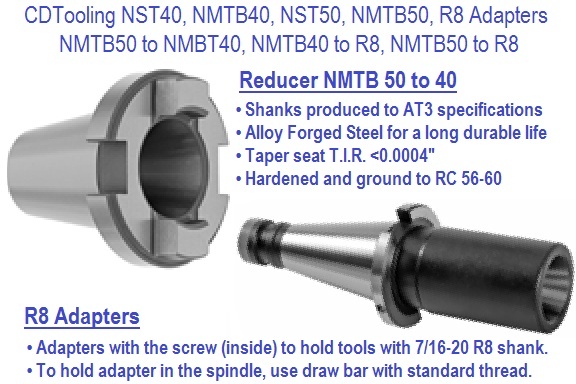 The taper is variously referred to as NMTB, NMT or NT. Essentially this defines a taper of 3.500 inches per foot or 16.5943 degrees (also referred to as "7 in 24" or 7/24). 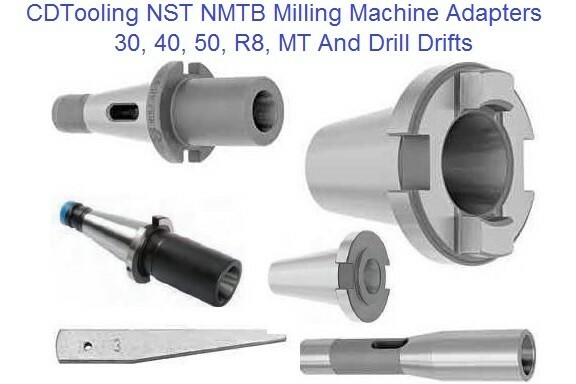 All NMTB Tooling has this taper but the tooling comes in different sizes. 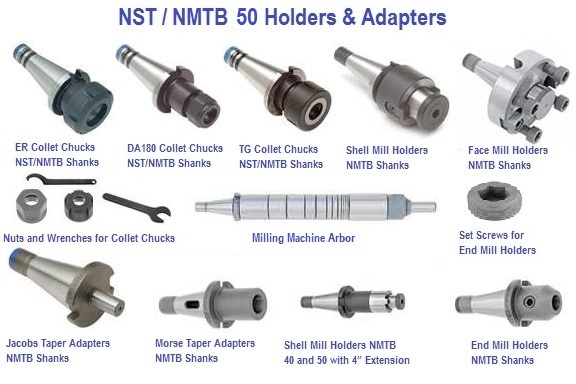 NMTB-10, 15, 20, 25, 30, 35, 40, 45, 50 and 60, with the 40 taper being the most common by far. 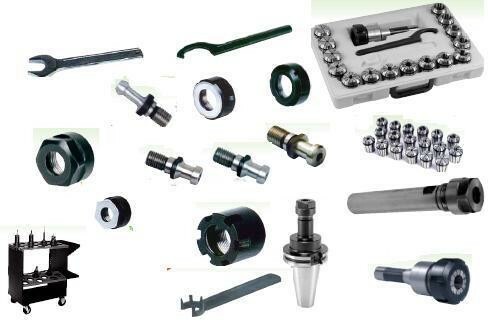 CAT, V Flange,SK, ISO (also known as INT, Inter or International) and BT tooling use this same taper: the difference is in the flanges and pull studs (a male extension from the drawbar thread, used in CNC machines with toolchangers and/or power drawbars). This is a "self releasing" or "Fast" taper. Unlike the more acute self holding tapers above, such tapers are not designed to transmit torque. This turning effort is carried by driving keys engaging slots on the flange. 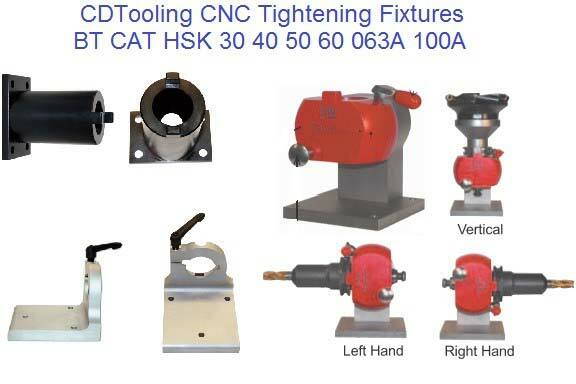 The purpose is to allow a quick and easy change between different tools (either automatically or by hand) while ensuring the tool or toolholder will be tightly and rigidly connected to the spindle, and accurately coaxial with it. The larger end adjacent to the tool makes for more rigidity than is possible with Morse or RT tapers fitted to comparable machines. 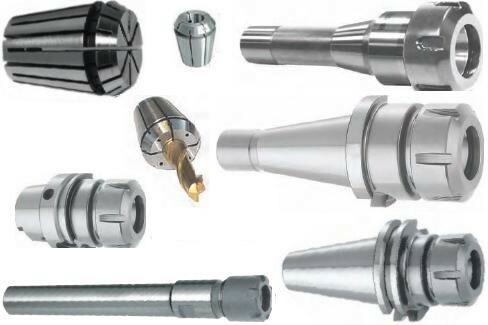 The spindle on the machine tool is built with a female taper and drawbar. 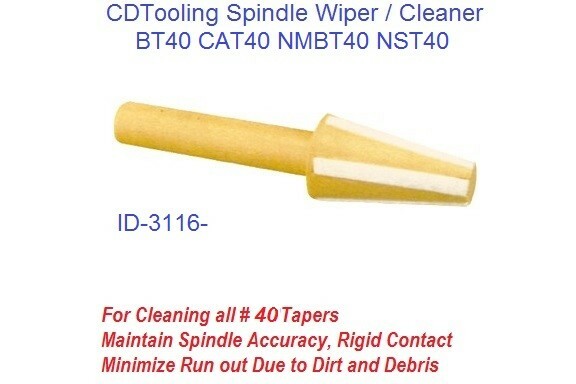 Each individual tool must be fitted with a male taper and the proper adapter for the drawbar.